It’s not unusual to hear of business ideas that people have stolen and used to make money, leaving the originators of the ideas penniless. Some of these stories are dubious, but others are factual – as the courts have sometimes proved. You may therefore want to know how to keep your ideas as safe as possible from the moment you start your own business. Every business has intellectual property (IP) such as patents, trade marks, designs, and copyright. An entrepreneur who fails to protect business ideas promptly can lose these IP rights. Entrepreneurs should therefore take legal advice from a business solicitor at the earliest opportunity. The purpose is to obtain IP registration as appropriate and make any necessary applications. While this is happening, the wisest course of action is to request signed confidentiality agreements from anyone who has access to IP information, and to retain all relevant documents in a safe place. Some entrepreneurs are of course keen to put their business ideas into practice without delay. Again, the best approach is to request confidentiality agreements from any manufacturers, possible business partners, and commercial agents. Entrepreneurs who have yet to make their ideas safe with patents, trade marks, or design registration (see below), also do well to send a dated record of the ideas to themselves by recorded delivery, and then pass the package unopened to a business solicitor or bank. An entrepreneur who is also an inventor should always consider applying for patents. These give legal protection to any business inventions. A patent can be valid for 20 years, and prevents others manufacturing, marketing, importing, or using an invention unless the entrepreneur gives permission. Alternatively, some entrepreneurs obtain patents and subsequently issue licences for anyone who wants to use the invention and who is prepared to pay royalties. Many entrepreneurs use logos, slogans, and jingles that give their products and services a distinct identity. Registering these as trade marks therefore provides a new business with a legal defence if someone steals, or unknowingly copies, what can prove to be effective marketing tools. Entrepreneurs must also ensure they don’t use the trade marks registered by other businesses. A trade mark or patent attorney can help. Copyright is slightly different from patents and trade marks. 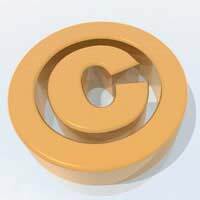 Entrepreneurs automatically have the copyright for artistic, dramatic, literary, or musical works they’ve created, or works that an employee has created for the business. At first, it may seem that business entrepreneurs are unlikely to need copyright law. The works referred to, however, cover items such as computer programmes, company literature, and promotional videos - in other words, written, audio, and visual items that have had creative input. Like copyright, design right is automatic. It gives legal protection to the shape, pattern, and ornamentation of a product. Entrepreneurs should also consider registration, however, to prevent any possible disputes over the designs’ origins. The above is a quick guide to keeping your business ideas safe. When you start your own business, you may want to obtain further advice about IP protection from a trade association or solicitor. This way, you give yourself a measure of security in what can be a highly competitive business world.